When choosing a framework for a web application of type SPA, AngularJS became the first choice for almost everyone and one of the reasons is because of its stability and support. Angular 2 does not have controllers or directives like Angular 1 has to reach the view, instead Angular 2 uses a concept called components. Within those components, there is a selector, meaning an element in the Document Object Model (DOM), which is the element to be handled by the component. Better performance: This has been one of the biggest differences that have been announced. With Angular 2, there is a lot of talk around performance, and its new features associated as “ultra fast change detection” and “immutable structures”. This is because there is no longer a “two-way data binding” since among other things, the concept of ng-model has disappeared. Angular2 applications are modular, meaning that they consist of multiple files, and each one of them has a responsibility. Most Angular 2 files exported something, such as a component or service. Since the modules depend on other modules, when you need something that is provided for a specific module, it must be imported. All Angular 2 applications are made up of components which form a tree of relationships with each other- meaning a component may be formed by another or a set of them. An application has a root component, which contains all the other components, usually called app.component. Within the service, both their properties as public and private methods are defined, and it is exported using the @injectable() decorator. Then, you must add a “starting point”, indicating how to compose different URL’s. Once the routes are configured and having a place to display them, you need to know how to navigate. The URL could be entered directly into the navigation bar of the browser, but it is generally preferable that the navigation occurs as a result of some user action. To this end, it has the RouterLink directive which is added to an < a > tag and links it to an expression that returns an array of parameters (link parameter array). Eventually, the router will solve this arrangement as a URL and a component view. The different views of the route may be used to pass information to them. For this part of the route, a part of it remains constant and the other part will vary. The definition of the route is indicated by a colon ‘:’ and the name of the variable will later be replaced by the explicit value in the URL. In Angular 2, when a component includes another or makes use of any directive, the components and “children” directives can send messages or trigger events to interact with the component that contains them. To launch an event, EventEmitter library, the @Output decorator and emit() function are used. 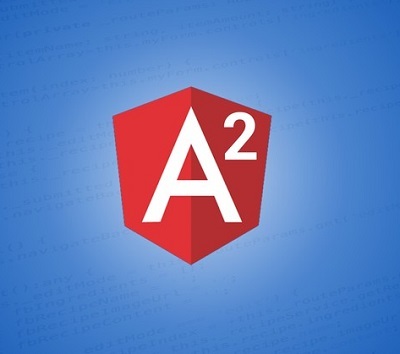 This article is a first approach to Angular2, and it briefly describes its main features. It is not a guide for creating an app.